It’ll make you feel like a kid again. Case and I ventured off to Philly for our two year anniversary. We fell in love with a city that is much different than our own, full of rich history, fun attractions, and killer restaurants. If you're in need of some major getaway inspo, this post has you covered. My boyfriend and I made a pact to travel together as much as we can, with at least one huge vacation once a year. Just last week, we traveled on Norwegian Cruise line to Honduras, Belize, and two parts of Mexico. Read up on all of our adventures and crazy antics! Last week, my boyfriend and I took a trip up to the Catskill Mountains in upstate New York to Peekamoose Blue Hole—a swimming hole that runs to a fresh water reservoir that provides clean water to about 90 million people in New York. Visiting a swimming hole has been on my bucket list for about two years now, so when our friends invited us up I immediately jumped to the opportunity. This past week my boyfriend, family, friends and I embarked on an 8-day Eastern Caribbean cruise on the Carnival Horizon ship. 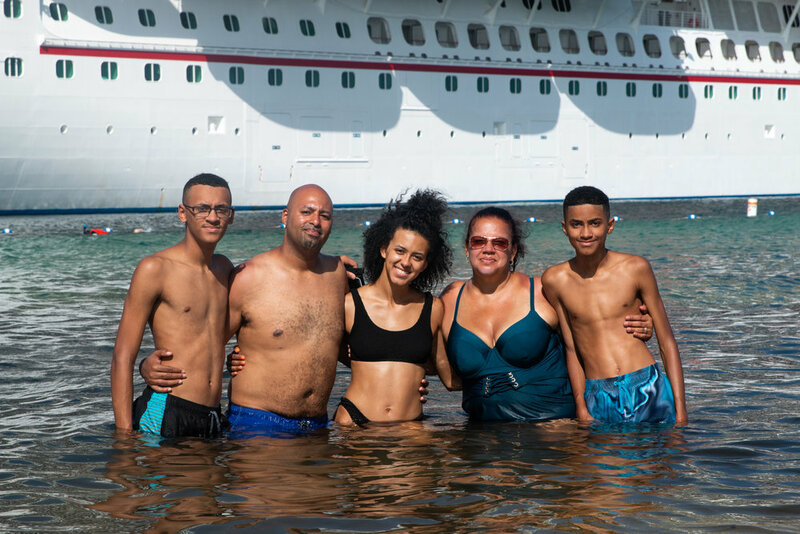 It was my family's first time ever doing a cruise, which I've wanted to experience with them ever since I started cruising. Our ship left out of New York; it was so dope to sail through the harbor. Our itinerary included Turks & Caicos, Puerto Rico, and Dominican Republic with a few days at sea. For the days that we sailed, we did a little bit of everything from relaxing by the hot tub to exercising at the gym (after eating everything in sight) to keeping my younger brothers entertained by exploring the ship. Our first stop was Grand Turk, Turks & Caicos. The island was absolutely breathtaking. Our entire group did a catamaran excursion which took us snorkeling and to a private beach afterward. Case and I did our own exploring first, of course. Snorkeling is always such an exhilarating experience, and I was so thrilled to have my family alongside me. 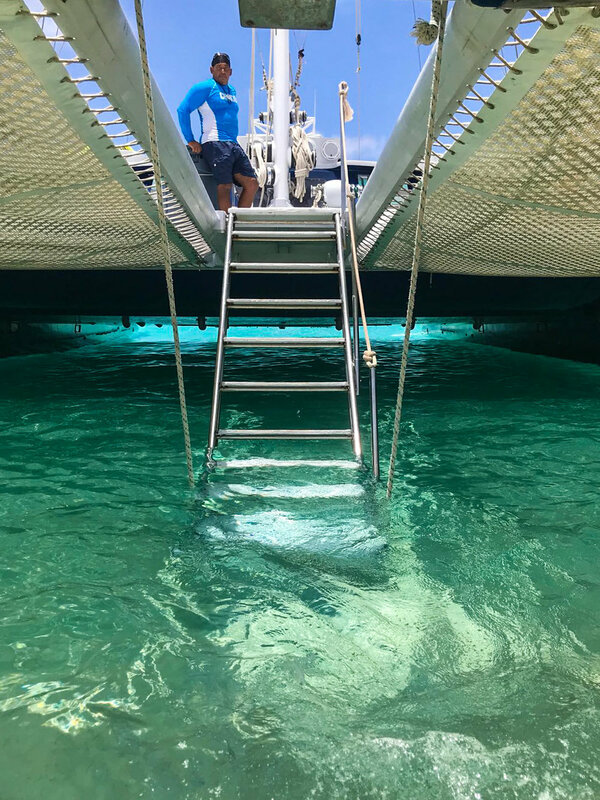 After snorkeling, we took the catamaran to a private beach. The water was crystal clear and there were wild horses galloping right above us through the sand, a truly unforgettable moment. There are truly no perfect words to describe how AMAZING Puerto Rico was. Out of all of my travels, this was absolutely my most favorite port to stop in. My friend Redd made our experience so memorable--he gave us the best tour we could've ever gotten and exposed us to the island's rich history and culture. 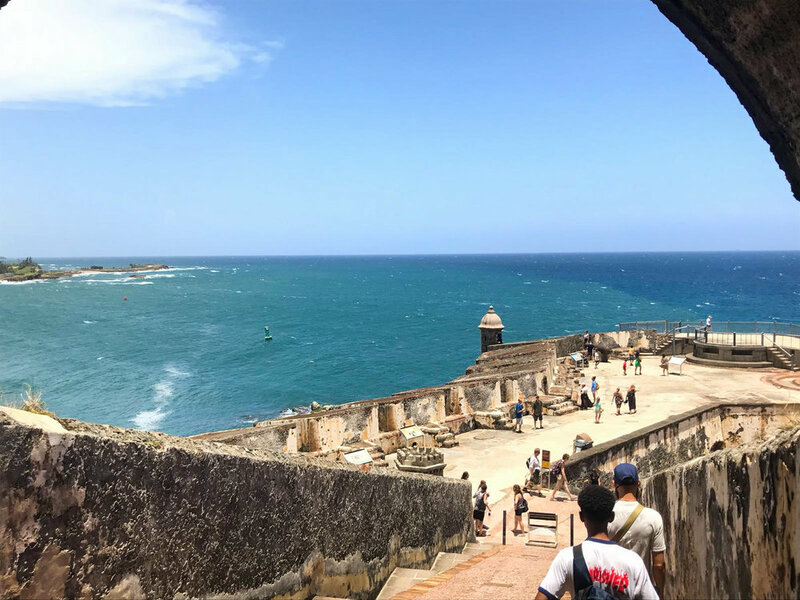 He took Case, my brother and I to the island's most historical landmarks, Castillo de San Cristobal and Castillo San Felipe del Morro. He provided us with an incredible amount of information about both forts and gave us a full tour. It was so breathtaking, unlike anything I've ever experienced. If you plan to visit Puerto Rico, this is something I highly recommend. You pay only $7 for a 24 hour pass to both forts. We walked through Old San Juan before stopping for lunch. Redd took my family and I to this AMAZING restaurant called Punto de Vista. 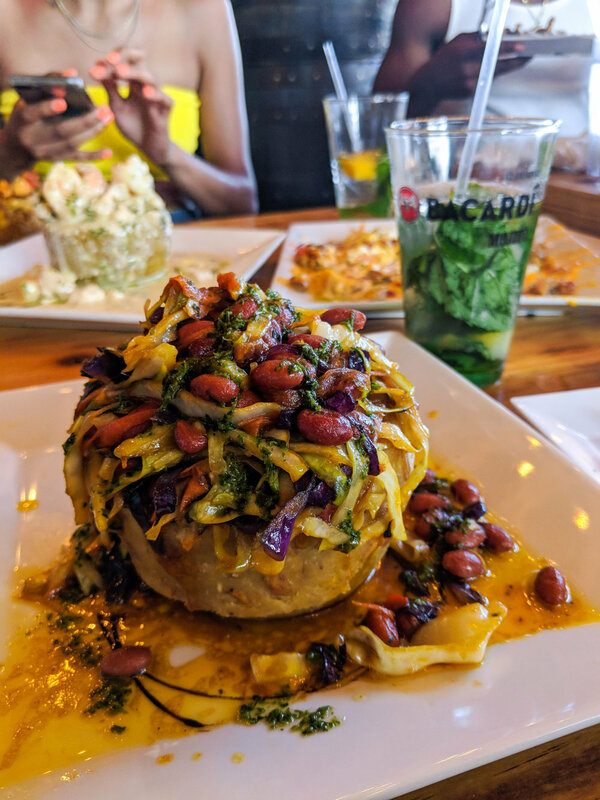 This restaurant is one of the sole reasons that we want to come back to Puerto Rico for another vacation. It was so difficult leaving this beautiful island. My family and I have already vowed to a trip strictly to Puerto Rico--that should be next up. Unfortunately, we experienced a cruiser's worst nightmare. We arrived at our final port of call which was Dominican Republic, however, we were unable to visit the island due to difficulties with the ship docking. We were EXTREMELY bummed, especially because we had an excursion for waterfall swimming, But, we made the most of it and used to the opportunity to spend more quality time together on the ship and do as many activities as we can. Things don't always go as planned, but it's so important to make the most out of any situation and be grateful for what you were able to do! I had so much fun that I felt that 8 days STILL wasn't enough. What I loved most was being able to share such an experience with my family and loved ones. My dad loved this trip so much that he said he wants to start vacationing twice a year! Not a problem for me. Over Memorial Day Weekend, my family and I embarked on a road trip to Virginia to visit my brother who's in the army. What would usually be our typical family trip turned out to be a mini getaway with amazing sightseeing and a lot of exploration—totally not what I was expecting! I learned that you can make the most out of a quick escape by embracing a new atmosphere with an open mind.